The total turnover of the company is in excess of US$100M and the parent, Strömma Turism & Sjöfart AB, was profitable in 2013. They operate several existing brands in different segments of the sightseeing, transportation and destination experience verticals. In addition to their own Open Top Sightseeing brands, they operate CitySightseeing franchises in Stockholm and Copenhagen. These franchises were acquired as part of larger company acquisitions and do not represent the majority of their group operations. 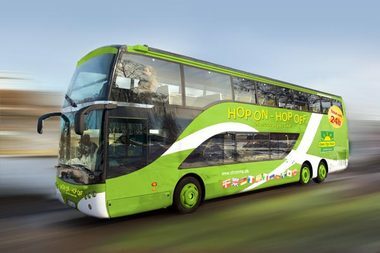 In addition to HopOn HopOff services, they also operate charter and tour services, ski shuttles, panoramic, seat-in-coach sightseeing, two ski resorts in Sweden, conference facilities, tourist cards and DMC services. Strömma is also a very large player in maritime sightseeing, charter, dinner cruise and multi-day canal cruise operations. Despite their very large and fragmented operations, they are very focused on sightseeing and are looking to Gray Line to become their unifying brand across all sightseeing operations. Their CEO, Jan Larsen, is personally engaged in the process and committed to Gray Line. I have met with him on two occasions to ensure all issues are on track and that the Strömma team is supporting the Gray Line application process and upon approval, technical, marketing, sales and operational integration. 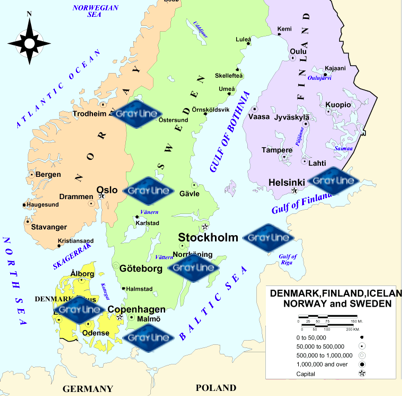 FLEET: Strömma currently operates a fleet of 131 coaches and 62 ships/boats. INSURANCE: Strömma general liability policies (by country) include limits ranging from USD $21M to USD $500M, with unlimited bodily injury liability in Finland. NOTE: Currently, our only Scandinavian Licensee is Gray Line Iceland, run by Thorir Gardarsson and Gudrun Thorisdottir (GLWW board member). They enthusiastically support the Strömma application. GLWW supports the application by Strömma Turism & Sjöfart AB and is recommending its immediate approval.